I’m guessing that you know something about fasting. If you know anything about the season of Lent, which starts March 1st, you heard of giving something up. Fasting. 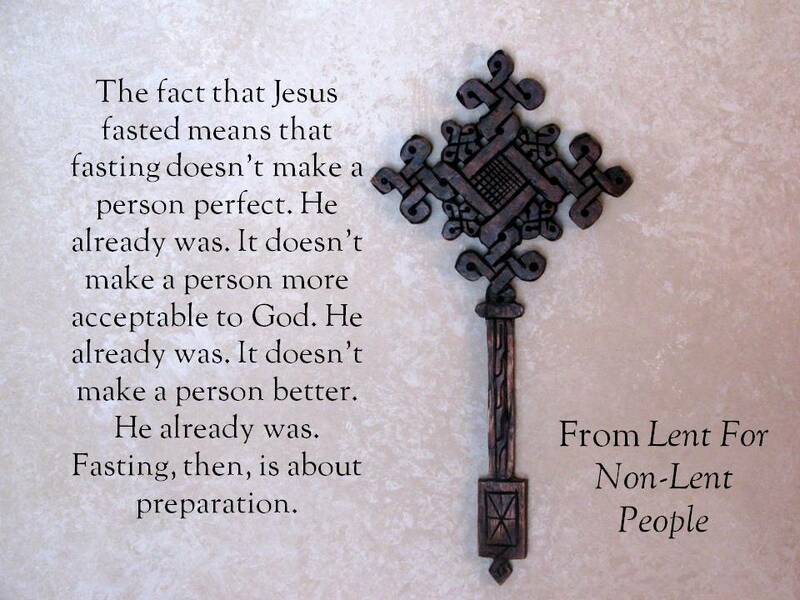 But even though we’ve heard of it, most people have questions about what fasting really is. Some people have a technical question: What counts as fasting? The most traditional kind of fasting is to give up food. My best friend growing up gave up watermelon for Lent. Which in those days was safe because watermelon couldn’t be imported year round. But we can start asking questions like, Which leads to questions like, how much food, for how long? Can you drink water? Can you drink juice? Can you take medications? What if your medications require you to eat something? Does that still count as fasting or do you have to start over? It’s possible to talk about other kinds of fasting, like giving up Facebook, or criticism or buying things. But those raise other questions. As some people are wrestling with questions about details, other people are asking a different question: Why worry about what counts? Is fasting a way to change something about us? Is it to change something about God? Will God pay attention to us more if we give up some or all of our food for some or all of a day? Many people in the Bible and since have looked at fasting as a way to make God happy or to get God’s attention. The ACT of giving something up somehow earns favor or gains points. Though we don’t say it that way. That’s what’s happening in a story many of us read on Sunday from Isaiah 58. God is speaking through the prophet Isaiah. And he’s trying to make a point to Israel. God creates a word picture of a public hearing or a courtroom. It’s the kind of setting where a speaker laws out the case against someone else. Like a prosecuting attorney. Like a frustrated parent. My people are rebelling against me. But they don’t want me to notice. They pretend to care what I think. They pray for justice. They talk as if they want God to be close to them. But they reveal their motives by their speech. Give up .99 for Lent. (or 5.99).